It’s almost time for the largest county fair in Arkansas to return to Fayetteville! This year the fair’s a week earlier, running August 21-25. 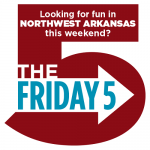 There will be a NEW Midway with fun carnival rides, yummy fair food, the ever-popular petting zoo, new American Lumberjack Shows, a 4-Wheeler rodeo, bull riding, arts & crafts exhibits, and lots of furry/feathered farm animals to see. Admission is $5 (except for Tuesday Family Night, when admission is $2) ages 6 and up, parking is free. Daily armbands are $25, Friday and Saturday night, armbands are $20. 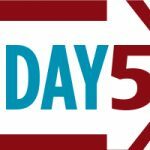 Then write a quick comment telling us your FAVORITE thing about the Washington County Fair! If you’ve never had an opportunity to visit the county fair in Fayetteville, tell us what you’re most looking forward to doing, seeing or eating! Click here to visit the fair’s Facebook page to keep up with all the fun! Good luck, fair mamas! We’ll choose a winner on Friday afternoon, so watch your inbox! 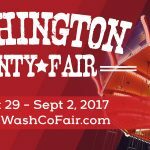 Giveaway: Win $250 worth of ride tickets for the Washington County Fair! 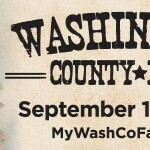 Giveaway: Tickets to the Washington County Fair! We look forward to our first trip to the Washington county fair! I’m interested in taking great pictures with the pretty lights, the petting zoo, funnel cake, and of course the rides. The best part of the fair is the experience of watching my boys faces light up on the rides and how they come together to play and have so much fun. I love the family environment and the animals!! I have never been, but I love fair food! YUM! I love visiting the animal barns with my kids during the day and seeing the midway lit up at night! I follow on Twitter, Pinterest and I get the newsletter and commented on FB. Love the animals–we enjoy walking through and seeing which ones have won ribbons! My favorite thing about the fair is the food! So many good things to choose from. Also, love going to see the animals! We’ve never been to this fair, but my girls always love the rides and animals at the fair. I commented on Facebook too! This would be our first time! We have a 2 1/2 year old and 5 month old and a first for them to any carnival! Would love to see the joy and excitement of the rides and food! We love walking through the animal barns! We love looking at all of the animals. This would be such a fun way to celebrate my 10 year old’s birthday next week! My favorite part is of course all the yummy fair food! Plus I love when it’s fair time because I know fall is right around the corner! I love seeing the animal and home economics exhibits! I am most looking forward to seeing my daughter enjoy the petting zoo. The rides and the animals! The best thing is seeing how happy my kids are on the rides and riding the Farris wheel as a family. I love to see the expression on my kids face as soon as we walk through gates.The smiles the laughs and we can’t forget about the turkey legs and funnel cakes 😉..
My favorite thing about the fair is the rides! So excited for funnel cake!! And seeing what’s new. Its been several years since we’ve been to the fair so I’m also excited to see all if the new stuff!! Love to watch my kiddos get so excited about the animals. We would love to take our kids for the first time! I love the nostalgia of the washington county fair. I went every year as a kid! My favorite thing about the fair is seeing the kids show off their animals and seeing them rewarded for all the time and hard work they have put into their animals. Oh my gosh! This would be such a blessing! Our girls are showing for the first time this year – pigs and chickens. So, we will be up there every night. Letting the girls ride a few rides each night without the extra cost would be AMAZING!! It’s been many years since we’ve made it to the fair; not since my teenagers were littles. Three of my 7 have never been. But I know their favorites would be the animals and the rides. My favorites are the rides, animals, displays, and of course funnel cake! This will be the first year I get to take my daughter to the fair! This would be our first trip to the fair! We moved here September of last year and are still learning about all there is to do! I’ve still not been to the Washington County Fair, but I do love county fairs. Going on the Ferris wheel is my favorite. It always reminds me of being little, and, a bit, I think, of Charlotte’s Web. It’s just simple and beautiful to be up in the air above everything for a moment. I love the rides and the food. Great experience growing up going to the fair. What I love about the fair is my family is there! They show cattle at the fair and have every year even before I was born. Even though I’m not a farm girl I like to go to see my parents and my sister and her family doing their best every year. I like sharing things I enjoyed growing up at the fair with my kids, walking around seeing rabbits, chickens, pigs, sheep, goats, and cattle. I love a fair hamburger and a pina colada shaved ice (maybe a funnel cake)! My favorite ride growing up was the Himalaya I could ride it over and over! My kids like them all, and I’m so glad my husband can take them on the ones that terrify me a little! These tickets would be used by three young ladies 11, 10, and 9 and would be fully enjoyed if we won! I love the entire atmosphere of a fair. The lights, sounds, animals, the smells and the food! Especially when the sun starts going down and the ambiance is perfect!! We always love seeing all the livestock and rodeo! We’ve never been to the fair. My children got to visit the petting zoo last year with school and loved it! They are finally tall enough to go on most of the rides. I would love to create some fun memories, and gorge on not good for you food with my babes for our first time at the fair!! 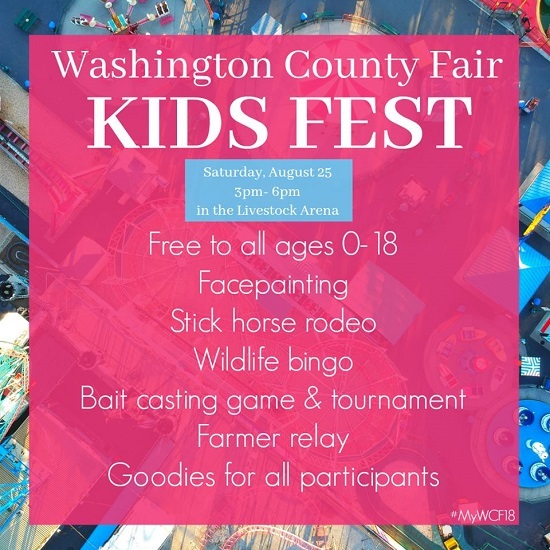 We have never been to the Washington County Fair, but I am looking forward to funnel cake and seeing my kids enjoy the rides and lights! My daughter loves carousels and my son loves ferris wheels! My favorite thing about the fair, is seeing all the kids work hard with their animals and projects that they have done and have entered the fair. They have learned a lot through the process and what it means to show, learn responsibility, all the while having fun. The fair is an opportunity four children and 4-H and FFA to be able to show their animals and projects that they have worked hard all year developing. It is great just to see the smiles on their faces. My kids love all things carnival! Mom and Dad go for the food!!! I love the whole atmosphere of the fair and that is something that my children have never experienced. I love the idea of sharing that with them. We love the animals! The rides are a close second. We love all of it! But the lights, the noises, the smells of the not so good for you food is the best and smiling! We love seeing all the animals and friends who show animals. My children who are now teens haven’t been to a fair before. They still enjoy hanging out with their parents, which I hope will continue but I feel like we need to take advantage of these moments. Going to the Fair would be a great memory maker! I like the Ferris wheel, the funnel cakes, and seeing the prize-winning canned goods! And of course, the animals!! I love the animals and the funnel cakes. What’s there not to love about the Washington County Fair? It’s really fun to see all the animals and the fair food is wonderful! We’ve never been but I’d sure love to take my two girls for family time out. I’ve never been but I know my kids would love the rides and I’d love a funnel cake! We have never been in the entire 18 years we have lived here. We would love to go this year and ride would be the highlight! It would be so much fun to win and see my kiddos enjoy the fair together for the first time. 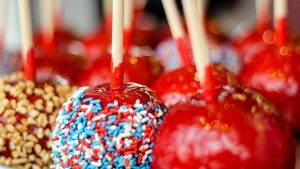 The teenager would forget she was “too cool” and have fun fun acting like a kid for a few hour hours, the tween boy would go into a fair food coma, and the youngest would love on the animals. Basically a wonderful family night that would be a blessing to win! We have never been to the fair so I’d love to get the chance to go and find a family favorite there! I love watching my kids smile and laugh. I also love me some fair food. I haven’t been, but would be interested in the Ferris wheel and other rides for little ones! We love the atmosphere, the animals, and watching the kids have a blast!! This will be our first year to attend the fair!! MY favorite part will be seeing the goats (I am a farm girl at heart), but my kids will be most excited by the carnival rides!! My son just celebrated a birthday so tickets would be an amazing blessing! We haven’t made it to the fair since my 12 year old has been alive! She would love this! I love to go see the cows! When I was a little girl my neighbors always took their cows to the fair… I looked so forward to going to see those cows. I always wanted my own cows to enter. I also always enjoy a good funnel cake! We enjoyed seeing the animals then going over to the art building… And then we enjoy a few of the rides! My daughter loves the fair too! My teenager loves all the rides that I’m too scared to go on. I will eat a funnel cake, though. 🙂 My five year old has never experienced the fair. I think he would like to do the petting zoo. We love the fair! My two little kiddos love the food and animals. We enjoy the ferris wheel ride also. They rode the camels last year and I loved the pig races. We look forward to the fair EVERY year! I loved going to the fair as a child and teenager. It is so nostalgic thinking of it. However I have never taken my kids because it is very expensive. This would be a exciting to take them this year. My family has never been to the Washington County Fair! I would love to take my kids to the fair for the first time this year! OH MY! If I were to win this, I would be a Shoo In for grandma of the month! So hope and pray I win so that I can be the number one granny! My fav thing is the food, the lights, the excitement, and of course the stinky animals! The look on my kids face having fun. My sons favorite thing has always been the farm animals but I think he’d probably enjoy some of the rides this year! I have not been to the WCF in years! Would love to treat my granddaughter and daughter! We have enjoyed the school-time part of the fair but have never been a part of the full fair experience. We’d love a chance to win $$ for rides & excitement. I love greasy fair food! We love the fair! My girls are ride gluttons and animal lovers! This event is a win win! Shared on Facebook, following on both Pinterest and Instagram! My favorite part about the fair is all of the animals. I’m especially excited to take my infant twins for the first time this year! I love the rides, especially the upside down and fast spinning ones! I followed NWA Motherlode on Twitter. My kids and I love funnel cake! I have not had the privilege of going to the Washington County Fair. If I would win I would take 3 grandchildren that are less taken to outings like that. They would enjoy the rides. I would enjoy the funnel cake. And we would all enjoy the craft, and seeing the animals. My favorite part is the animals. Walking through the animal barns & watching my kids ride the bumper cars & the motorcycle/car track ride. Love county fairs! Plus we always bump into friends! We haven’t been in 8 years. We enjoyed the animals and people watching. The kids event looks fun.